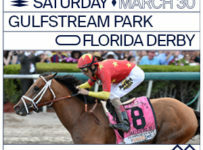 Sunday, March 9 – My jaw dropped and my heart sank a bit yesterday morning when I read the news that Top Billing had suffered a cracked cannon bone in his right front leg and will miss this year’s Kentucky Derby. The size of my future anticipated bankroll also dropped – by $375. 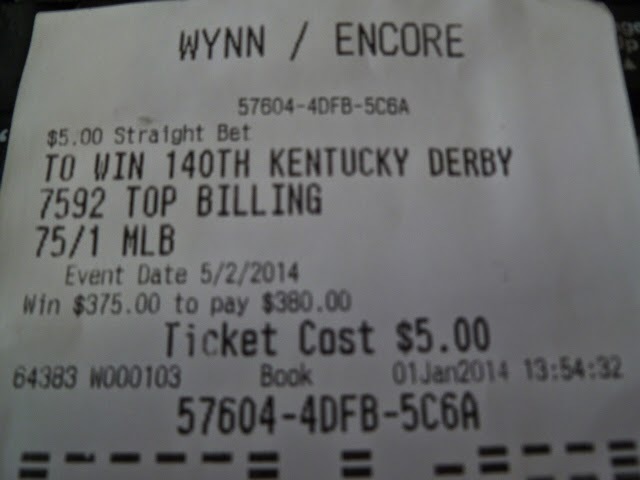 I had $5 on Top Billing at 75-1 to win the Kentucky Derby. On Jan.1, those were the odds on him at the Wynn Las Vegas Race and Sports Book. A friend made the bet for me while he was on vacation in Las Vegas. 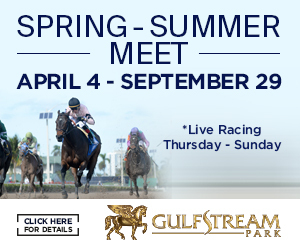 Top Billing, who early this month was 12-1 at Wynn, sustained the injury while training at Payson Park in Indiantown in Martin County. My futures bet on Top Billing is dead, down the drain, kaput etc. 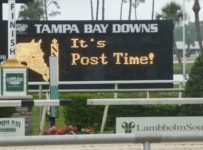 When a horse doesn’t get into the Kentucky Derby, for reasons including injury, there are no refunds at Wynn or at other sports books and services that offer futures betting on the race. That is part of the perils of futures investing in the financial markets or on a horse race. Top Billing’s injury is a reminder of the risk of making a futures bet four months ahead. 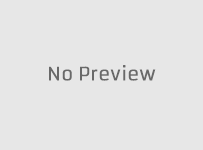 This year’s Kentucky Derby will be on May 3 at Churchill Downs in Louisville, Kentucky. But consider the possible rewards. Last week, the Wynn odds were 12-1 on Top Billing. Wynn sets its odds like a typical bookmaker -akin to what it views as a fair market price. 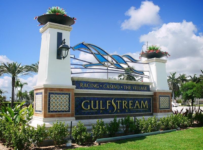 Top Billing’s odds dropped during his series of three strong races at Gulfstream Park. To bet on Derby futures or other sports events offered at a Las Vegas casino, you have to be on-site or have a phone account that you can use only in Nevada. http://www.kentuckyderby.com/racing-wagering/future-wager/faq is sponsored by Churchill Downs and is more accessible than Las Vegas sports books. 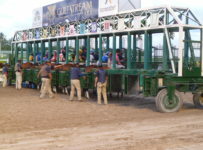 It is a series of separate mutuel pools on the race. 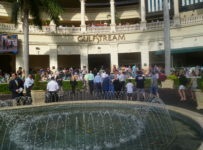 Bets can be made at Gulfstream and Calder Casino & Race Course, Tampa Bay Downs and most other thoroughbred tracks and on many Advance Deposit Wagering (ADW) services such as TwinSpires.com. Each pool has 24 betting interests, with 23 horses and a field bet where you get all other 3-year-olds. Betting is only for win and exacta. 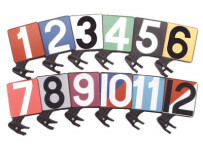 Minimums are $2 for win and for straight exactas and $1 for exacta boxes. This year’s fourth and final pool will be offered from Thursday March 27 through Saturday March 29. 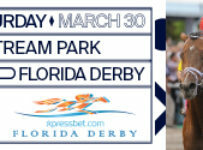 Betting will be closed prior to that Saturday’s Florida Derby at Gulfstream and Louisiana Derby at Fair Grounds in New Orleans. 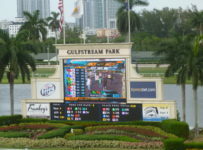 On Friday March 28, we’ll have more about that weekend’s pool and some betting strategies–including exacta boxes. Churchill Downs has offered its Future Wagers pools every year since 1999. There is a widespread view that it is a sucker bet. Yes, there are 23 losers in each pool. But a look at the record shows that in ten of the 15 years, the winning bet in the final pool paid more than the winning bet made on Derby day. Last year, Orb paid $29.60 in the final pool and $12.80 on Kentucky Derby day. I was an early fan of Top Billing based on the advice of a friend who each year does a detailed study of Kentucky Derby contenders. 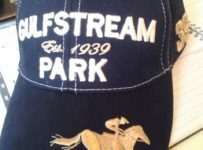 I watched the replay of his debut race, when he came from last place to win in the slop at Laurel Park on Dec. 6. I said “there’s my horse,” after viewing that magical mystery-tour like race. 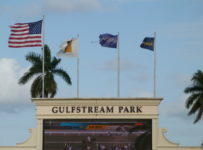 He gained more fans with his three races at Gulfstream – a win, a second and a third. His come-from-behind style has made him a popular horse. As a son of two-time Horse of the Year Curlin, he is bred for distance. 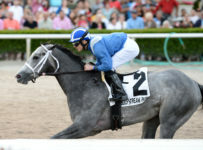 His third place finish was in the 1 1/16 mile Fountain of Youth (Grade 2) on Feb. 22. Wildcat Red and General A Rod were awesome in their gate-to-wire duel. Wildcat Red won in the fast time of 1:41.85 while Top Billing ran out of ground and finished 2 ½ lengths behind. 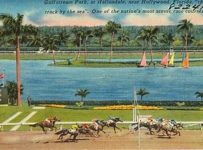 Racing against that day’s speed bias, Top Billing indicated that he is well suited for the Kentucky Derby’s 1 ¼ mile distance. “We saw it after he pulled up from the breeze this morning. We took him back to the barn, we x-rayed it and found it.” McGaughey said the long-term prognosis is good, without providing details on when Top Billing might be able to resume training and possibly return to racing. “He’s going to Kentucky today. Hopefully he’ll get operated on tomorrow afternoon or first thing Monday morning,” McGaughey said. Let’s hope that all goes well and that Top Billing will be back to the races this summer.